They always called May 10th their anniversary. But let’s begin at the beginning. 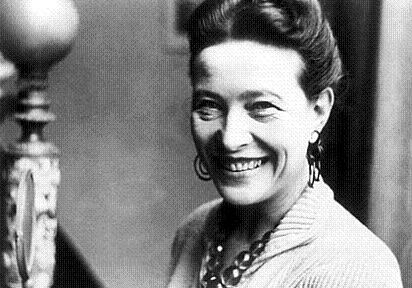 Early in 1947, the French feminist writer Simone de Beauvoir was traveling in America. 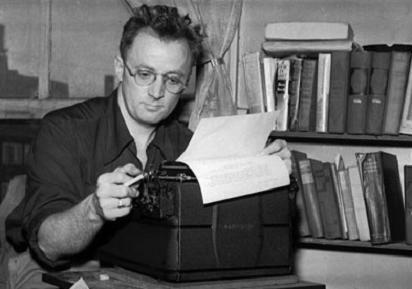 A friend suggested she look up Nelson Algren when she got to Chicago. Algren was just starting to build a reputation as a writer of realistic fiction. When she arrived in the city, de Beauvoir had trouble getting through to Algren on the phone–hearing her thick French accent, he thought she was one of the Polish people from his Wicker Park neighborhood. But they did arrange a meeting. Algren took de Beauvoir to see the seamier side of town. She liked it. They hit it off. When she left, he kissed her good-bye and asked her to stop in Chicago again. “If you don’t, I will come to Paris one day after you,” he said. By May de Beauvoir was in New York, preparing to go back to France, when her departure was delayed. She had not forgotten Algren. She phoned him and said she was coming to Chicago for a few days. On the morning of May 10, he met her at the airport. Once again, Algren showed her the city. They went to a cafeteria and a Sox game and a bowling alley. Then he dropped her off at her hotel. Now de Beauvoir was wondering whether they were on the same wavelength. Why didn’t he come up to her room? For that matter, why was she staying in a hotel, and not back at his place? Maybe she’d made a mistake coming to Chicago. That evening Algren took her to a Polish restaurant. They hit a couple of jazz bars. In the taxi, he kissed her. Before the night was over, they became lovers. They parted in New York, Simone returning to Paris, Nelson going back to Chicago. For many years afterward, they carried on a trans-Atlantic love affair. Algren wanted marriage, de Beauvoir did not. The situation was also complicated by her longtime relationship with Jean-Paul Sartre. Nelson Algren died in 1981, Simone de Beauvoir five years later. She was buried wearing the ring that Algren had given her.